(UPDATE 01.11.19) Our Room Block is CLOSED. Contact the hotel directly with reservation inquiries at 210.558.6500. 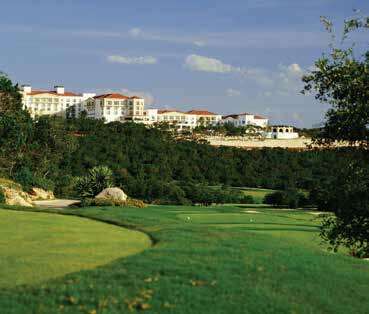 The AAA® Four Diamond La Cantera Resort & Spa is nestled high atop the Texas Hill Country – in fact, La Cantera is situated at one of the highest points in all of San Antonio, providing spectacular, 360 degree views of the Hill Country. Amenities include two championship golf courses, the Loma de Vida Spa, several infinity pools, and plenty of picturesque spaces to relax and connect with your peers. While downtown San Antonio with the famed Riverwalk is just 30 minutes away, the Hill Country features a fusion of Spanish and German influences in food, beer, architecture and music that evokes a distinctively Texan culture. Pet Industry Leadership Conference attendees can book at a special group rate of $249 for Run of House rooms. In addition, there will be a $15 resort charge per room, per night added to the guest bill. The resort charge includes daily bottled water, self-parking, basic wireless internet in guest rooms, Wi-Fi in lobby, restaurant and lounges, use of fitness facility, shuttle service within a 3-mile radius of the resort, resort activities, plus golf bag storage and complementary use of golf practice facilities. This rate will be honored three days before and three days after the meeting dates, based on availability. Attendees can book online through the website, using group code PIA2719A. Attendees wishing to make reservations by phone should call 210.558.6500 and reference the event name. Book EARLY – the room block will fill quickly. The deadline to make reservations is December 30, 2018. Reservations requested after the group room block is filled, or after the cutoff date, whichever comes first, will be based on availability at the resorts prevailing rates.